AW177 x RAWRS Custom Dragon Lunar New Year Bitsumo! A collaboration effort between AW177 (Allen Wen) and RAWRS (Dai Tran), this is a one-off custom Dragon Lunar New Year edition Bitsumo resin figure. Bitsumo is a hand casted 4.5″ tall resin collector toy. 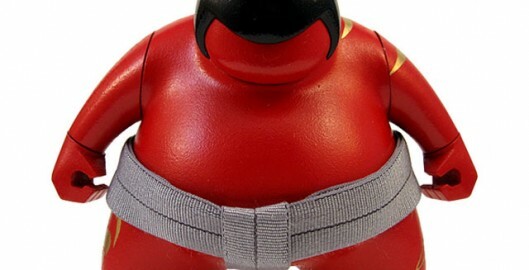 He has 7 points of articulation and a hand-tied mawashi. Metallic gold dragon painted on the back and completed with a slight gloss finish.